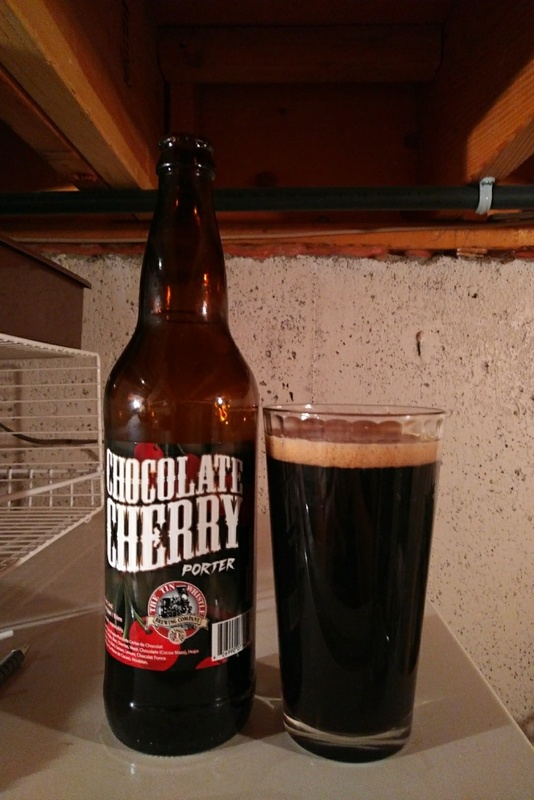 From Penticton BC’s Tin Whistle Brewing comes their “Chocolate Cherry Porter”. The beer pours a dark brown colour with a brown head. The aroma consists of cherry, roasted malts, chocolate, caramel, toffee and sweetness. The flavour is of chocolate, roasted malts, cherry, toffee, caramel, earth, bitterness, coffee with a sweet finish. The alcohol content comes in at 5.5%. Once again this beer seems to have changed up a bit from last year. This beer would go amazingly as a winter time dessert. Maybe add some ice cream. Commercial Description:Deliciuos dark beer made from fresh cherries and cacao. It’s combined with rich chocolate barley and subtle hopping. It’s a new limited edition winter beer especially for the Christmas season. This entry was posted in Porter and tagged bitter, bitterness, caramel, cherry, chocolate, chocolate cherry porter, coffee, craft beer, hopped, hops, indie beer, okanagan, penticton, porter, roasted malt, roasted malts, sweet, sweetness, tin whistle brewing, toffee.